Dão, wines with elegance, subtlety and finesse, though needing patience of time to see them shine. Dão is in the heart of Portugal by the upper mountainous region. 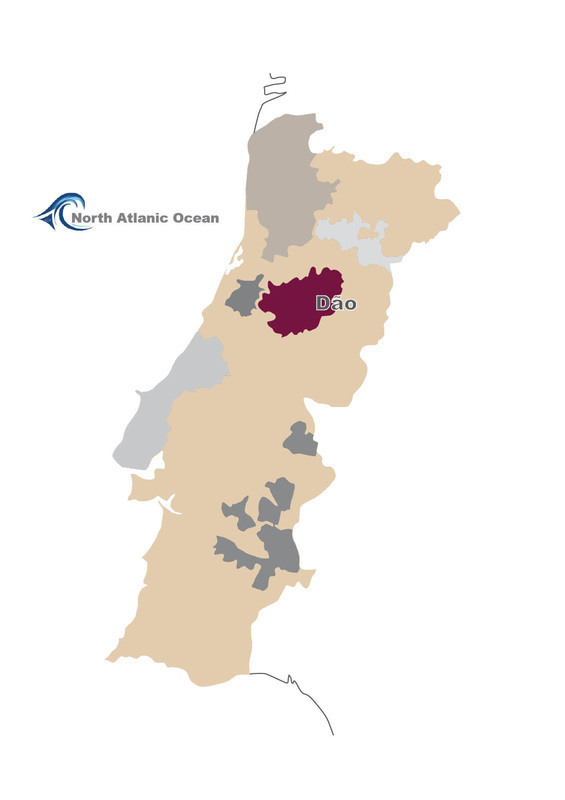 Surrounded by mountains and vineyards at altitudes ranging from 200m – 900m, the region is protected from the Atlantic weather system and also not fully exposed to the harsh continental climate. As a result, rainfall is mainly in the winter months, leaving a hot dry weather for the remaining growing seasons. The attitude tempers the heat and allows the grapes to retain god acidity. The soil composition is majorly granite, or granite decomposed down to a coarse sand. ​Dão wines are predominantly reds and made with the likes of Touriga Nacional, Tinta Roriz (also known as Tempranillo), Jaen, Alfroncheiro; the white varities are mainly Encruzado, Bical, and Arinto.